We don’t like to think about it or admit it but sometimes our behavior feeds the sin growing in our children’s hearts. You are among friends here, so no need to fear judgment or guilt. We are here to come alongside each other and help one another live lives that honor the Lord and raise children who do the same. 1. We Allow Sin to Grow by Ignoring “small” Sin. Tears filled her eyes as she recounted stories of a boyfriend she disapproved of, broken curfews, and drinking. Her daughter’s rebellion threatened to tear the family apart. Adding more cream to my coffee, I listened as she struggled to understand how things went so terribly wrong. I recalled a time when she gave little thought to a few missed chores. Even though her daughter’s disobedience was clear, she blew it off as just being a kid. “Kids are like that.” she would say over a steaming cup of coffee. Now, she had bigger fish to fry. She longed for the days when all her daughter did was refuse to do her chores and talked back from time to time. Yet, I couldn’t help but wonder if that is where it all began. Tree roots. The plumber explained how the roots would continue to grow and expand causing more pressure on the pipes eventually leading to a total collapse of the pipe. It is a problem easily left unchecked until damage occurs since the pipes are underground. The only way to prevent the issue is to schedule regular cleaning. To rid the current problem, the roots must be cut out. Overgrowth of sin in the heart is a lot like tree roots. At first, the problem goes unnoticed until one day it threatens to collapse the heart and crush the spirit. When tree roots begin to grow, a sign is a slow flowing drain. It doesn’t seem like a problem at first. If anything it is an annoyance easily ignored for the time being. You simply shake your head and move on knowing that at some point it will require your attention. I wonder how many times my friend shook her head and let kids be kids. I wonder how many times I do. We cannot see the impact so we assume we have another day. Yet just under the surface, a seed was planted and there in the dark, being fertilized by a lack of discipline, it grows and takes root in the heart. Every act of rebellion, no matter the size, should be handled swiftly and purposefully. She felt lying was easier than explaining why she didn’t want her son to attend the birthday party. She had no intention of checking her calendar. She felt her heart crack as this lie came from her child’s lips. Where did he learn to lie so easily? Kids observe every action we take. They pick up on inconsistencies and hypocritical behavior, and not only call it as they see they mimic it. When we provide a stumbling block for our children to trip and fall over we invite sin to grow in their hearts. We all fall short of the glory of God and we all have the ability to repent and be forgiven. When we sin, we need to own up to it and apologize to our children for dishonoring God. The lesson we teach is humility as we ask for forgiveness and show actions of repentance. We are fooling ourselves if we think we hid our sin from our kids. The lesson we risk is that there are no consequences for sin. If sin is not shown to be a departure from the presence of God then will they understand they need a savior? Hands running through disheveled hair and a throat-tightening by the noose of stress, she knows something has to give. Raising her hands in frustration, what gives is telling her child to stop calling her brother a name for the millionth time. Overflowing laundry baskets, a sink filled with dirty dishes, ten unreturned calls from clients, and an inbox filled with urgent emails. The battle for our attention and energy is waged daily. When what is urgent wins then what is important loses. Bogged down by the day to day tasks we often find ourselves too exhausted to handle one more thing. Can’t the kids just stop fighting? Why can’t we get through a store without a tantrum? Can’t they just go to bed without all the interruptions! We cannot take one more intrusion. Yet, the intrusion is not what it appears. A child in need of spiritual guidance or discipline is the work of motherhood. If children were perfect they would not need mothering. Mothers train character, mold minds and equip soldiers for Christ. Yes, we also run the practical aspects of the home such as providing clean clothing and dinner. We feel we failed if the day ends with dirty dishes and crumbs on the floor. No, my friend, the day fails when the day ends with unpruned sin and chaos brewing in the home. Dishes can wait. Dinner can be put on hold. The business of guiding young hearts for God’s glory cannot wait nor be put on hold. Stop running the race and run the marathon. The prizes at the finishing line are much greater. 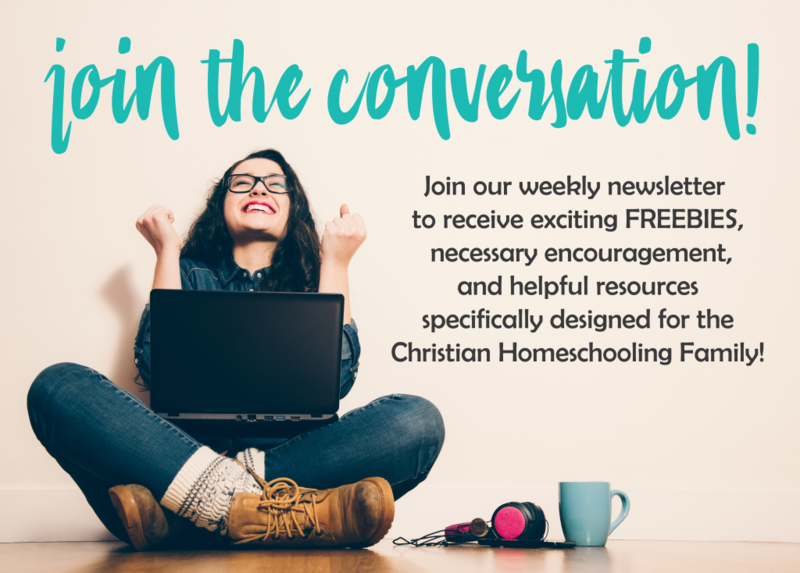 Are you allowing sin to grow in your child’s heart? Friend, I was that mom and to my shame, there are exhausting days that defeat me still…until I lift my hands up to the Lord in prayer. Yes, I was the mom who overlooked “small” sin. I have been a poor example and I have been too exhausted to engage in character training. Yes, I have been there and I suspect all of us have at one point or another. In love, I want to recognize when we allow these things so don’t allow it to grow. I am still not perfect, as mistakes follow me around like a stray cat, but having an understanding of how I allow sin to grow in my children’s hearts has given me a new perspective and renewed my resolve. Because we don’t have to go down this road alone. At first I totally agreed 100% with this article & even started going back over my life as a mother to two kids to figure out where I went wrong & how my sins could have affected my children. I bemoaned this to a friend the same day & she told me to stop doing that. She said she was the very worst mother ever, did everything wrong, over & over, being totally aware of how she was messed up & messing up her kids. Then, by God’s grace, He got hold of her & her kids & she’s so proud of them. Both are strong, loving Believers & walking with the Lord and God continues to work in their lives. So, you never know how it will all turn out. You just have to trust God & trust Him for his grace and love in your childrens’ lives. Thank you for sharing your testimony. We do agree with you. We can only be good stewards of the great responsibility God has given us as parents and pray and trust Him to do the work in our child’s hearts – to grow and harvest what we have attempted to sow.